So, I get the idea of cloud backup, but having my sensitive data floating around in these data centers (who knows where), is of concern. There’s so much data breach these days, is it really safe? Data breaches are certainly all over the news these days, and we had many serious attacks. It does make one concerned about what happens with files stored in the cloud regarding security. And it is a valid question to be asked long before you commit to online backup. Tricerat partnered with Mozy, a division of EMC Corp. The entire Mozy business successfully completed a SOC 1 SSAE 16 Type 2 audit and received ISO 27001 certification. 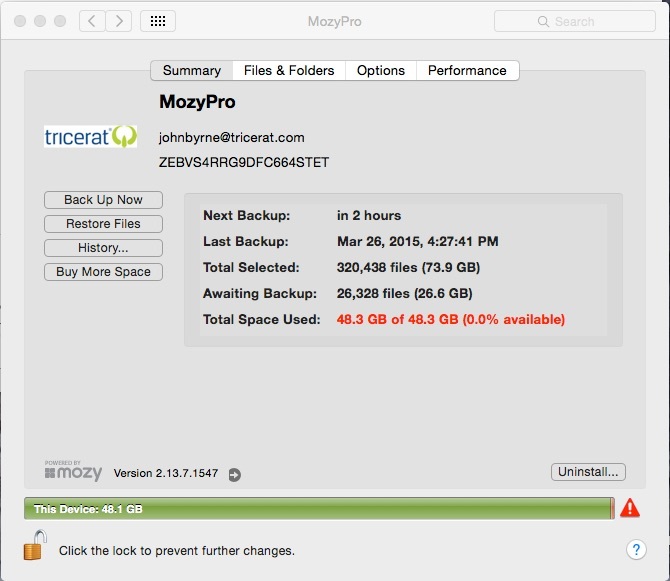 Mozy encrypts each file before it’s sent over the wire, during transit, and at rest in our state-of-the-art data centers. But Mozy goes even further: You have the choice to use a 256-bit AES key—the same encryption standard used by the military—for your own personal encryption key or corporate key (c-key), which is known only by you. 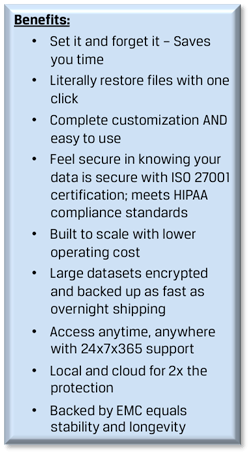 The product completely supports HIPAA compliance as well. Finally, MozyPro servers are located in carefully chosen world-class data centers that are protected by gated perimeter access, 24x7x365 onsite staffed security and technicians, electronic card key access, and strategically placed security cameras inside and outside the building. It’s a great, inexpensive and very safe online backup solution that’s proven in thousands of installations worldwide.